Lloyd Knight was elected to Cullompton Town Council in a tightly fought by-election in November 2017. Lloyd is the Town Council Deputy Mayor and their representative on the Devon Association of Local Councils. 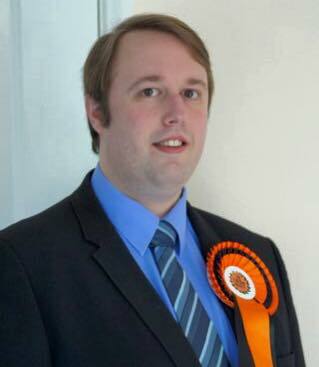 He is committed to giving a voice to the people of Cullompton at both the Town and District level. We are delighted Lloyd will be contesting Town and District seats for Southward Cullompton this May if you can help please email him on lloyd.knight@hotmail.co.uk or telephone 01884 563 462.